CLEVELAND, Ohio (WABC) -- Delegates from each of the United States cast their votes at the Republican National Convention Tuesday night in Cleveland. New York passed on its first voting opportunity so it could cast the winning votes for Donald Trump's nomination for president. It ultimately cast 89 voted for Trump and 6 for John Kasich. Watch as New York's delegation casts the winning votes for Donald Trump at the RNC. Watch as New Jersey's delegation casts its votes at the RNC. Watch as Connecticut's delegation casts its votes at the RNC. 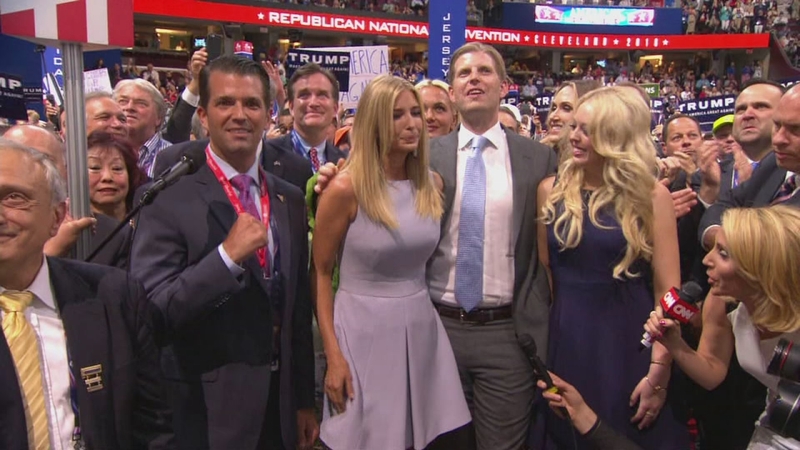 Stay with Eyewitness News and abc7NY for complete coverage of the Republican National Convention.